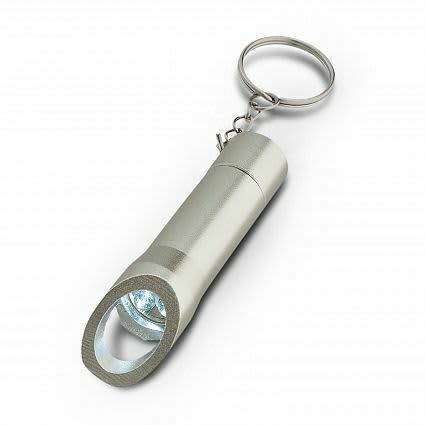 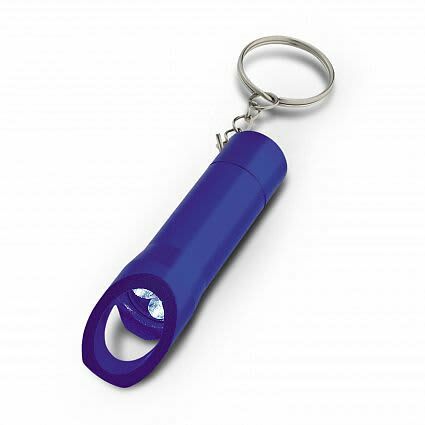 Aluminium flashlight with three powerful LED’s and a handy built in bottle opener. Uses button cell batteries which are included and Laser engraves to an oxidised White colour. 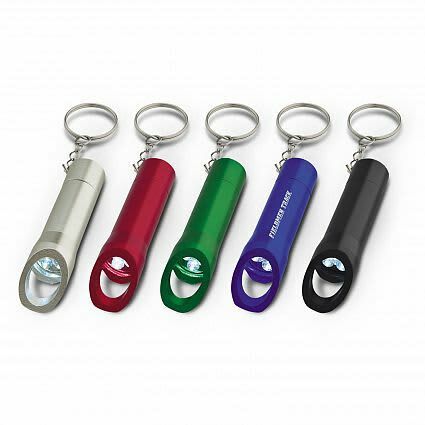 Black oxidation engraving is available for an extra charge. Laser Engraving 25mm x 9.5mm.